Nominations are due January 7 for the “Microgrids for the Greater Good” awards, which will be presented at Microgrid 2019. The competition seeks microgrids that offer a clear benefit to the broader society and demonstrate a replicable model. Applications will be considered for microgrids operating in any part of the world. Anyone may nominate a microgrid whether they are affiliated with the project or not. Judges for the competition are William Brent, director Power for All; Kaitlyn Bunker, manager, Islands Energy Program, Rocky Mountain Institute; and Jonathan Hart, senior specialist at the Center for Sustainable Energy. Nominate a project for Microgrids for the Greater Good by filling out this application form by January 7. 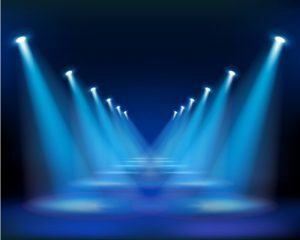 Awards will be presented at the industry’s upcoming conference, Microgrid 2019: Shaping the New Electric Grid, May 14-16 in San Diego, Calif.
“Microgrids take on some heroic tasks — sheltering the vulnerable during disasters, keeping hospitals up and running when the grid goes down, electrifying farflung villages. We created the Greater Good Award to put a spotlight on these benefits,” said Elisa Wood, editor-in-chief for Microgrid Knowledge. “Microgrid 2019: Shaping the New Electric Grid” follows Microgrid Knowledge’s highly successful conferences in New York City, Boston and Chicago, all part of the online publication’s mission to advance microgrids. Set on the waterfront at one of San Diego’s newest luxury hotels, Microgrid 2019 will gather together energy and policy leaders who are setting direction as microgrids grow into a $30.9 billion industry. The three-day event will feature worldwide opportunities for microgrids and related technologies, such as nanogrids, virtual power plants and energy storage. Register for Microgrid 2019 now and receive a limited-time $350 discount. 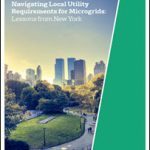 Never been to a Microgrid Knowledge conference? See why they are so popular in this video from Microgrid 2018. Would You Like to Present at Microgrid 2019?